From “City Girl” to Farmer!! Sewing, Dairy Cows, Chickens and Zucchini?? As the mother of 2 4-H kids this is such a hectic time of year. The kids put the finishing touches on their 4-H Record Books and now the books are ready for judging. It is now time to start working with some animals so they will lead in the show ring. As a “city” girl, I have had quite an education about what it takes to get heifer ready for the fair. Besides teaching a cow to lead in a circle, she needs a bath, a haircut, and someone needs to scrub her feet. I am a pretty compulsive planner so my kids have come to realize that I like to be over prepared. Sometimes their animals have not embraced that idea. Even the most prepared 4-H kids can have an animal that has just decided “no way, I am not walking anywhere with anyone today”. This is Zach and he is showing Emmy Moo. 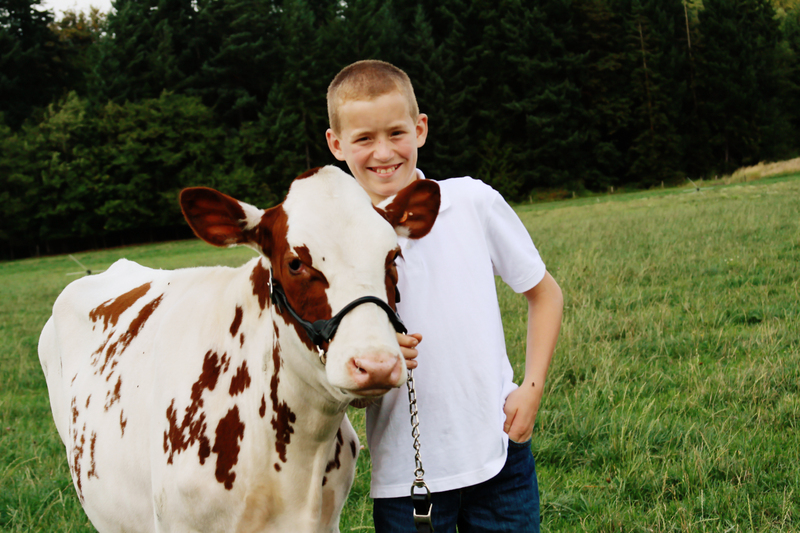 She is a Red and White Holstein Winter Yearling Heifer and she loves to show her stuff. This is Cassy Jo and she is showing Stuffing. Stuffing is a Black and White Junior Heifer Calf. Her intense black color catches your eye in the show ring. 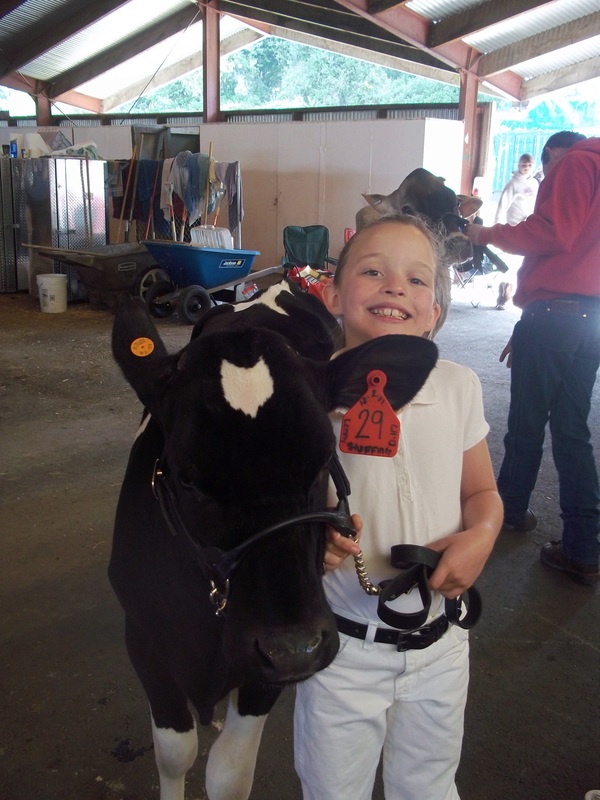 The kids are working with their animals and every day up until we move into the fair they will lead their animals and get them used to walking in a circle with a show halter. Stay tuned!! 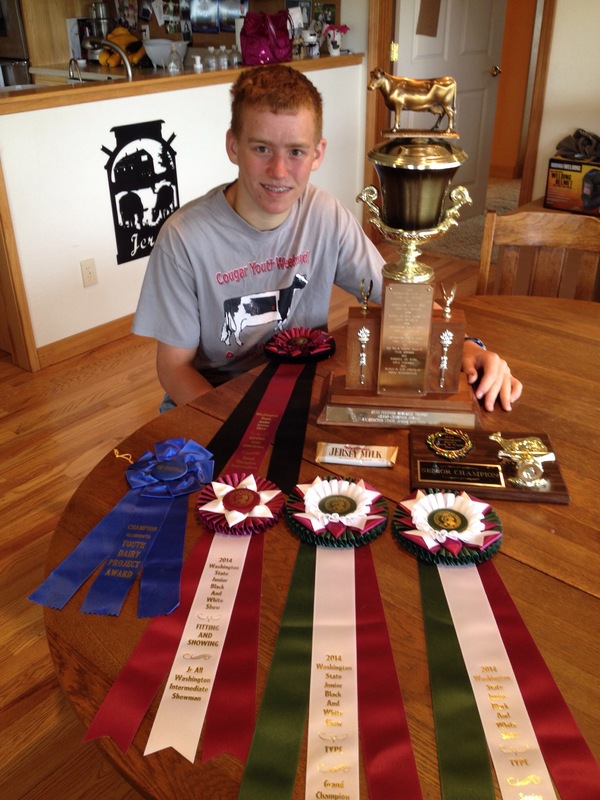 It should be a great fair season! !